Keeping track of your child in a busy place can take up all of your attention. Especially if they are prone to wandering off on their own, right? Maybe you've seen a parent holding onto a "rope" connected to their toddler and thought how odd that looks. While not an issue having a pet on a tether, you aren't exactly comfortable putting a harness and leash on your child, right? You do want to make sure he or she doesn't wander off to far, but an actual resraint and strap? Um, no. The solution? Using an electronic wrist band that will alert you via your own cell phone when your little one goes outside of a certain distance from you. The Wireless Child Leash wristband is great for keeping track of your children or even easily misplaced possessions. It has a two way alarm so that your child can press one button to alert you if they are lost or in trouble. Worn like a watch, this device sets up an electronic safety net for your children. When the electronic child leash wristband goes outside of the set distance, the signal will alert you wirelessly and sound an alert on your smart phone. This can be used to keep track of your child, elderly loved ones, pet, phone, laptop or keys. Just about anyone or anything that is very important to you! 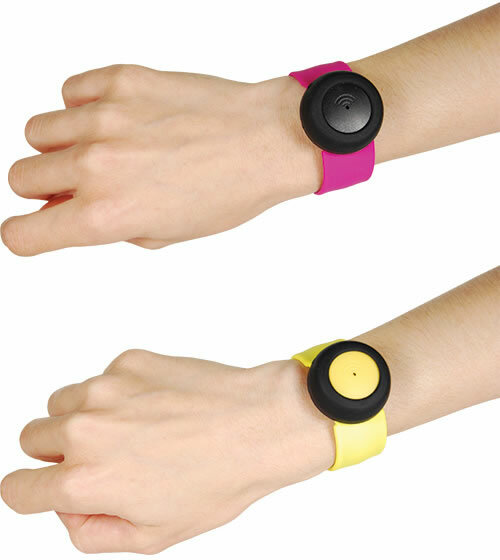 The alarm can easily be removed from the wrist band to be used on other important items. The easy to use app for IOS or Android makes it very easy to operate. The IOS app will support up to 4 units at one time. The Android app will support 1 unit at a time. It has a range of 10 to 100 feet in open areas. This distance will be less with objects or walls in between. The battery can last up to 6 months on standby. It is very easy to operate and connect, offering a safe way to keep track of the priceless things in your life. 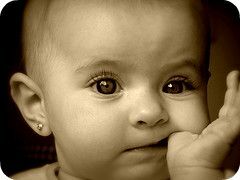 Children are very vulnerable beings, not only because they lack the experience and skills to recognize danger and protect themselves accordingly but also because they are naturally guileless and trusting. Each new thing they see, hear and feel is an experience worth exploring, regardless of its potential danger. Children are every parent's pride and joy. It would be devastating to lose your child and you can prevent this from happening with a child monitor. What Are Child Guard Monitors? These electronic devices are safe for children to use and have with them all the time. They contain transmitters that lets the receiver knows when its user is near to straying past specified distance boundaries. The wireless leash lets you keep your child within a specific area of the house or the yard. Simply attach this security gadget on your child’s wrist and the sensor will transmit a warning alarm to you in case he wanders away. Design and Materials This is the most important factor. Electronic child monitors come in various options but mostly, they're designed to look like toys. Of course, not any toy would do for your child so it's important for you to choose one he'd be willing to have with him at all times. Check for resilience and durability as well. Children are naturally clumsy and it's not unusual for them to accidentally drop or step on their toys. For maximum protection, look for one with a long-lasting or hard-wearing shell. Size The wireless leashes are those small enough that your child can wear or keep in his pocket but big enough for him to immediately notice if it's lost or misplaced. Frequency and Range Look for child guard monitors you can use both indoors and outdoors. Furthermore, look for monitors capable of offering the greatest amount of coverage. This will help you track your child more easily if he ends up lost. Adjustability The monitors allow users to specify configurations. As such, you can adjust the coverage for the transmitter, depending on your needs and preferences. For some models, the volume of alarm can also be adjusted. User-Friendliness Child leashes shouldn't be complicated, especially as you may be dealing with serious crisis anytime. Controls for distance or volume adjustments should be just as easy as turning the transmitter on or off. This is especially important if you wish for other companions of your child to make use of the device as well. Power Different types of batteries are used to power up child leash. Models using long-lasting batteries are naturally preferable. Consider charging time if batteries used are rechargeable. Reliability The safety of your child will be compromised if your child monitor is faulty and unreliable. As such, consider buying only from reputable companies such as this one.